^ Arnold, Guy (6 April 2010). The A to Z of the Non-Aligned Movement and Third World. Scarecrow Press. pp. 126–127. ISBN 9781461672319. 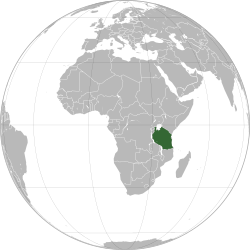 ^ a b Tanzania Tourist Arrivals Increase by 12.9% in 2016 to Reach 1,28 M - TanzaniaInvest"